Lightweight, comfortable safety eyewear with wraparound protection. * Lightweight frameless one-piece lens. 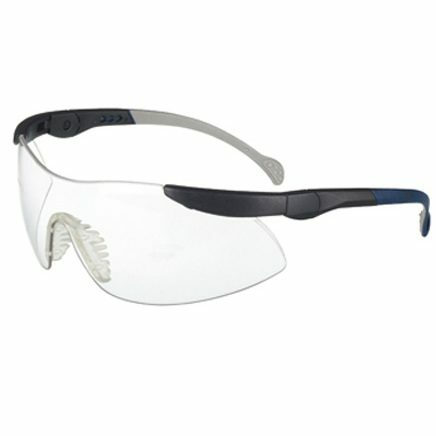 * Polycarbonate lens with anti-scratch and anti-mist coating. * Side arms adjustable for tilt and length. Conform to EN166 Safety Standard.